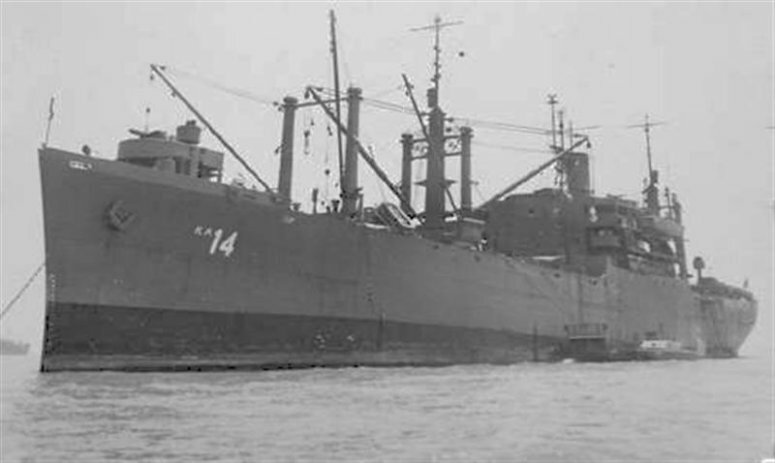 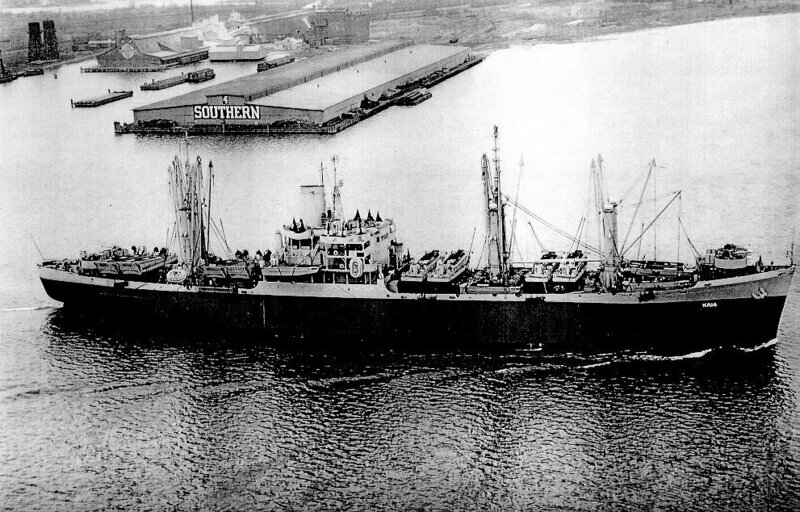 Laid down, date unknown, as SS Delabla, a Maritime Commission type (C2-F) hull, under Maritime Commission contract (MC hull 133), at Federal Shipbuilding and Drydock Corp., Kearny, N.J. 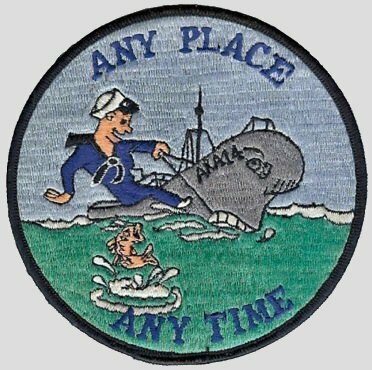 Returned to the Maritime Administration, 2 March 1960 for lay up in the National Defense Reserve Fleet, at Olympia WA. 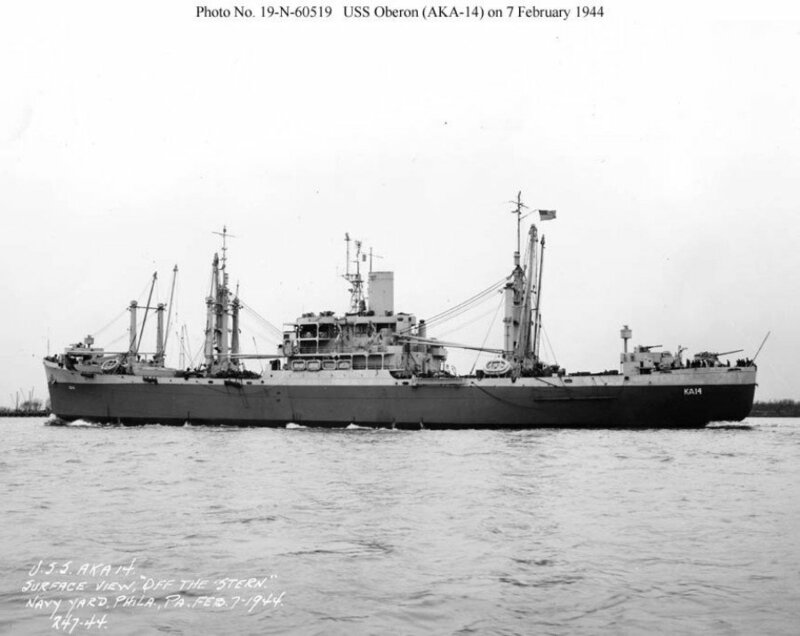 one Diesel-drive 100Kw 120V/240V D.C.
85k USS Oberon (AK-56) underway off Kearny, New Jersey, 15 June 1942. 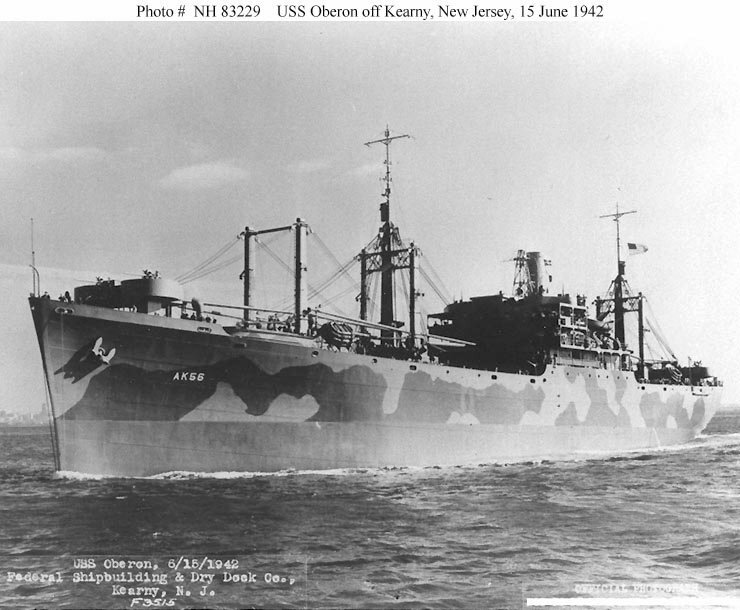 She is painted in the splotch patterns of Camouflage Measure 12 (Modified). 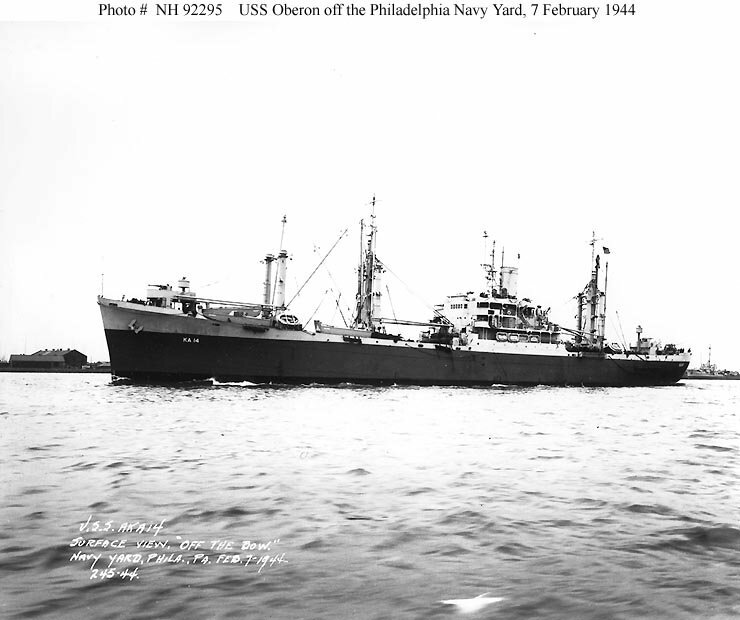 67k USS Oberon (AKA-14) underway off the Philadelphia Navy Yard, Philadelphia, PA., 7 February 1944. 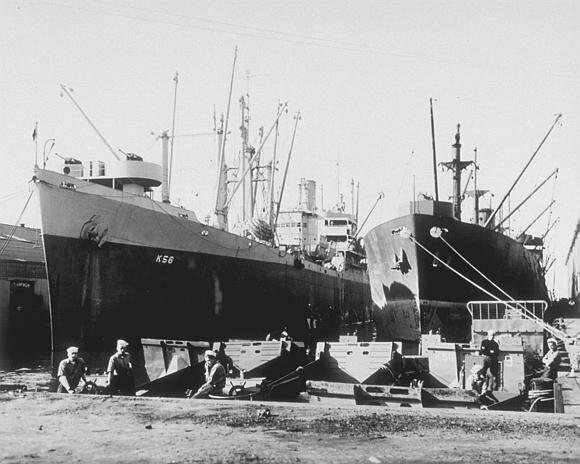 Note the change in fore and aft 40mm gun mounts single 40mm's changed to twin 40mm's with MK51 directors. 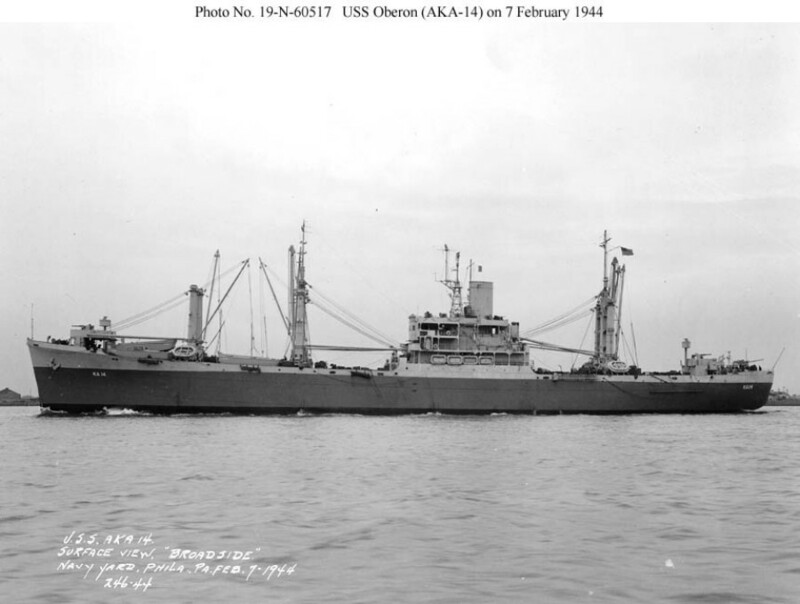 19-N-60517 83k USS Oberon (AKA-14) underway off the Philadelphia Navy Yard, Philadelphia, PA., 7 February 1944. 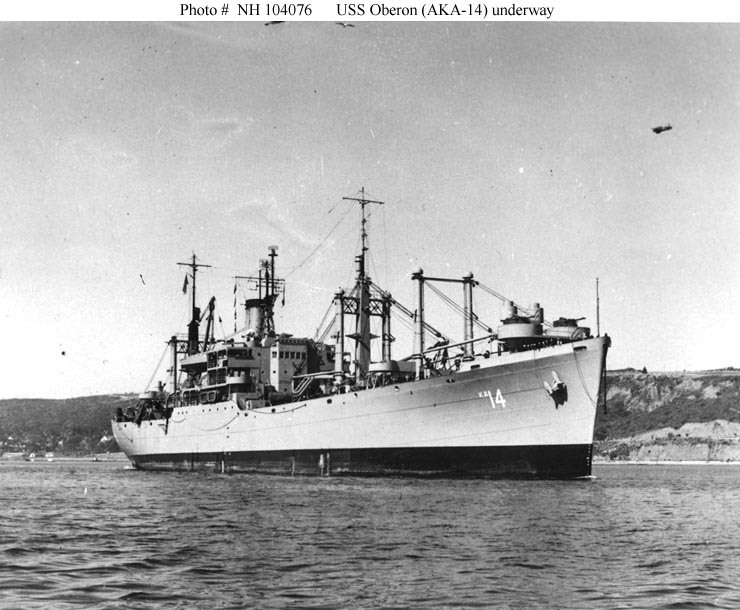 95k USS Oberon (AKA-14) at anchor, circa the later 1940s. 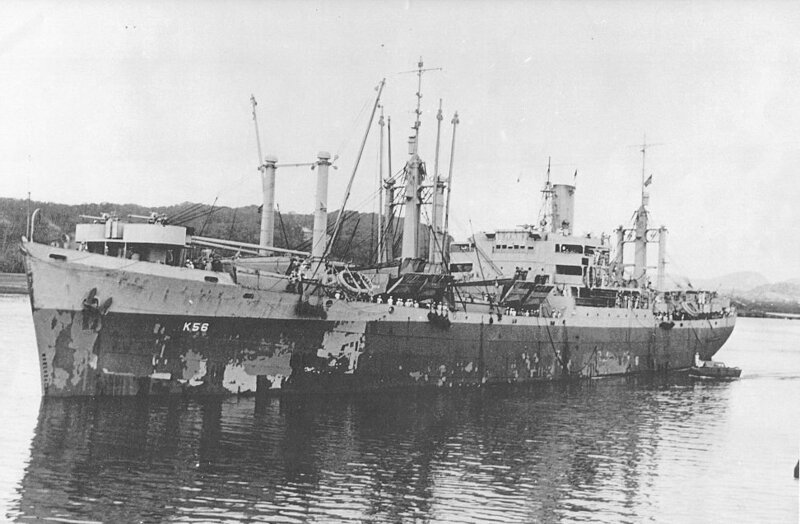 Note the two triple sets of kingposts, one fore and one aft, the tall center kingposts in each supporting the ship's 40-ton booms. 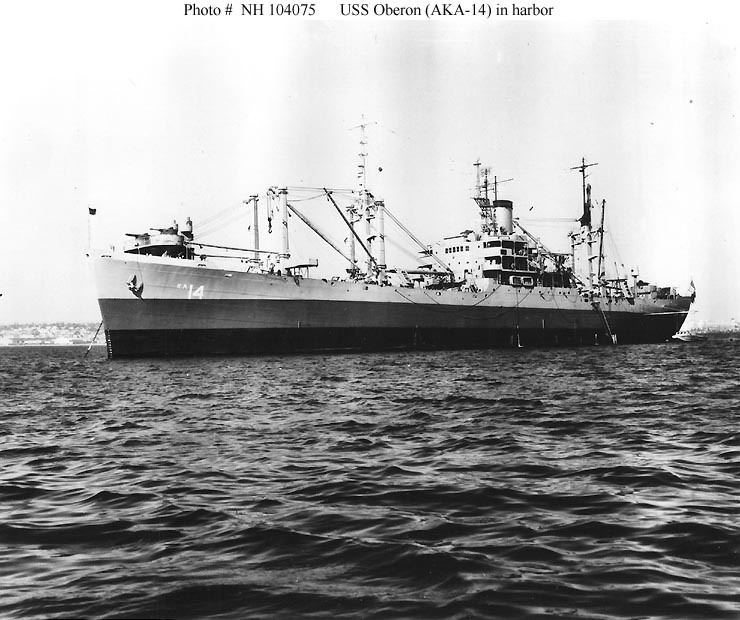 84k USS Oberon (AKA-14) underway in the late 1940s or early 1950s, probably while entering San Diego Harbor, CA. 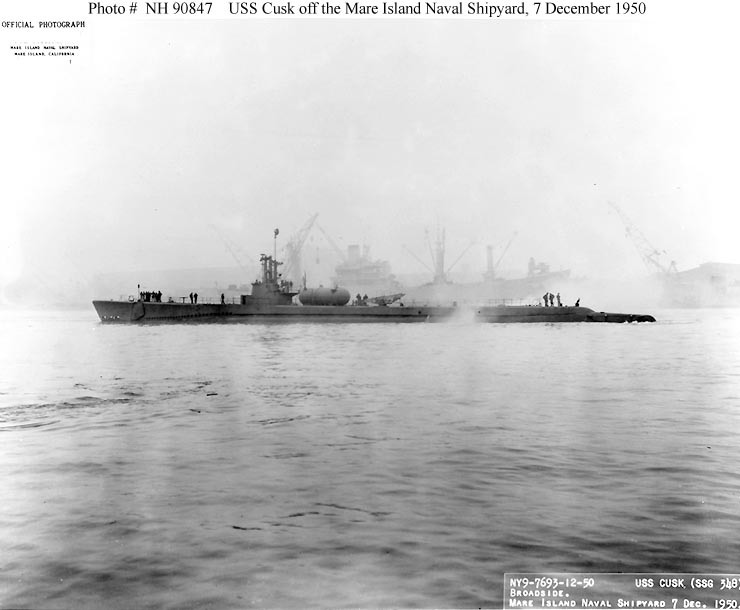 48k USS Oberon (T-AKA-14) in the background of this photo of USS Cusk (SSG-348) off the Mare Island Naval Shipyard, Vallejo, CA., 7 December 1950.